Nicole Engelmann was named vice president, corporate communications in 2016. She is responsible for capturing the unique culture and purpose of our firm in all corporate messaging to our employees, clients and prospects. Nicole joined CCMC in 2000 and served as corporate lifestyle director from 2006 through 2013. 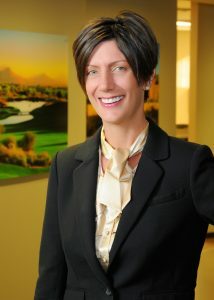 Under her leadership, CCMC designed unique pre-development lifestyle consulting services that are unmatched in our industry while recruiting, training and connecting our national lifestyle teams. In 2014, she was named CCMC’s first corporate communications director. She holds a bachelor’s degree from the University of Arizona. Prior to joining CCMC, Nicole worked on Capitol Hill, as community relations manager for Barnes & Noble, and as a newspaper journalist.